In Divergent, society is divided into five different factions. Each faction has its own way of living, and doing things, and has its own beliefs. Beatrice, the main character of the story, is born in the Abnegation. Abnegation is the selfless faction, and they believe that one should only help others and never think about themselves. When someone turns 16, they must take a test to decide which faction they will live the rest of their live in. 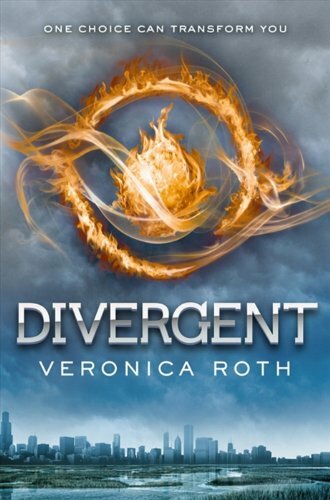 Beatrice’s test turns out as resultless, and that is known as being “Divergent.” To the surprise of her family and her faction, she and her brother, Caleb, each choose different factions. Beatrice chooses the Dauntless faction. Dauntless is the faction where bravery and courage is important. There is an initiation process where they compete with other initiates to see who will enter the faction. Four, a Dauntless teacher, informs the initiates that the top ten will make it in . Stage one of the initiation is hand-to-hand combat. Stage two is fear simulations. The simulations make Beatrice face her worst fears, and to pass them, she has to defeat her fears. Stage three is one big fear simulation with all the fears. Finally, after the initiation ends, Beatrice is ranked first, which guarantees her a good job in the faction. Although she has made it in, she will soon discover that a faction will start war on her original faction, and that she will be the one who has to save her faction. In my opinion, this book owes a lot of its fame to the other popular young adult fiction novels, especially to the most famous one, The Hunger Games . Its writing style is very similar, and this book is in the same genre. This book is pretty simple and easy to understand if you are an eighth grader. There are not many big vocabulary words, and sentence structures are made so that you will never be confused. A good age range for this book is 11 and up, or in other words, one would be able to read this book starting in sixth grade. A weakness about this book is that the writing style is too simple. As already said before, sentence structure is very repetitive and it was very hard finding some good vocabulary words. The biggest strength of this book is its plot. The plot, although rather simple, is a very thought out idea, and the plot itself will keep me from stopping. If I could go back in time, I would choose this book again, since the plot is unique and entertaining. Overall I would rate this book eight out of ten stars. 1.Why is Beatrice chosen as Divergent in a test? 1a. Beatrice is supposed to choose one faction, but she “breaks” the test in a way, and has a choice of two factions, resulting in being chosen as Divergent. 2. Why do most of the other factions look down on the Abnegation faction? 2a. The Abnegation faction choose to be selfless, and try to attract the least attention possible, making them unpopular around other factions. They are also in a rivalry with the Erudite faction. 3.Why does Beatrice choose to become a Dauntless? 3a. Beatrice chooses to become Dauntless because she realizes that she isn’t selfless enough to live the rest of her life in Abnegation. 4.Why does Al never actually fight during the testing for initiation. 4a. He does not want to hurt someone and is not willing to knock someone out just for training and testing purposes. 5.Who does Beatrice become enemies with throughout the beginning of the story? 5a. A boy named Peter hates Beatrice, and they constantly exchange insults. Petter looks down on her for coming from Abnegation and for being small and weak. 6.Why do the Dauntless need to take fear simulations? 6a. The simulation is stage two of the qualification test. The simulation is to see how fast one can destroy the fear or control his/her emotions. 7.Why does Peter stab Edward in the eye? 7a. After the results of stage one, Edward is first and Peter is second. Peter wants to get rid of competition, so he stabs Edward. 8.Why don’t the Abnegation listen to the Erudites? 8a. The teachings, way of life, and thoughts of the Abnegation are opposite of the Erudite, so they would never listen to each other. 9. Why does Al care so much about Beatrice? 9a. Al think so of Beatrice as more than a friend because he “likes” Beatrice. 10.Why are the Abnegation the most disrespected out of all the factions? 10a. Being selfless may make others lose respect for them, and they make take advantage of their selflessness. 11.Why does Beatrice need to find Caleb? 11a. Beatrice misses her family so she visits her brother. She is also sad and needs some comfort. 12. Why can’t Beatrice be a Candor? 12a. She has too many secrets, and she would never be able to be honest. 13.Why does Beatrice always question whether she is in the right faction? 13a. Even though Beatrice has adopted most of the Dauntless, when she’s not thinking about what she’s doing, she will start to act like Abnegation. 14.How will the Erudite get the Dauntless to fight for them? 14a. They injected a serum that contains transmitters that are also able to connect the mind to a simulation program. The Erudite will mind-control the Dauntless. 15.Why would Eric help the Erudite? 15a. He used to be in the Erudite faction and the Dauntless are working with the Erudite.